Skiers, snowboarders, and lift passengers are governed by the NYS Safety in Skiing Code, Article 18 of the NYS General Obligations Law. Signed by Governor Mario Cuomo and enacted into law in 1989, the New York State Safety in Skiing Code is detailed below. 9. Not to wear loose scarves, clothing, or accessories or expose long hair which may become entangled with any part of the device. Warning to Skiers: Downhill skiing and snowboarding, like many other sports, contains inherent risks including, but not limited to the risk of personal injury, including catastrophic injury, or death, or property damage, which may be caused by variations in terrain or weather conditions; or surface or subsurface snow, ice, bare spots or areas of thin cover, moguls, ruts, bumps, or other persons using the facilities; or rocks, forest growth, debris, branches, trees, roots, stumps; or other natural objects or manmade objects that are incidental to the provision or maintenance of a ski facility in New York State. New York law imposes a duty on you to become apprised of and understand the risks inherent in the sport of skiing or snowboarding, which are set forth above, so that you make an informed decision of whether to participate in skiing or snowboarding notwithstanding the risks. New York also imposes additional duties upon you, to which you must adhere, for the purpose of avoiding injury caused by any of the risks inherent in skiing or snowboarding. If you are not willing to assume all of these risks and abide by these duties you must not participate in skiing or snowboarding at Bristol Mountain. Skiing and snowboarding can be enjoyed in many ways. At ski areas you may see people using alpine, snowboard, telemark, cross country and other specialized ski equipment, such as that used by disabled or other skiers. Regardless of how you decide to enjoy the slopes, always show courtesy to others and be aware that there are elements of risk in skiing that common sense and personal awareness can help reduce. Observe the code listed below and share with other skiers the responsibility for a great skiing experience. This is a partial list. Officially endorsed by: National Ski Areas Association. Bristol Mountain places a high priority on providing our guests with a fun and safe mountain experience. While New York State does not currently mandate that helmets are worn, we do feel it is very important that parents, skiers, and snowboarders educate themselves about the benefits and limitations of helmets. Ultimately, the choice of whether or not to wear a helmet is one of personal or parental preference. Freestyle Terrain may contain jumps, hits, ramps, banks, fun boxes, jibs, rails, half pipes, quarter pipes, snow cross, bumps and other constructed or natural terrain features. Prior to using Freestyle Terrain, you are responsible for familiarizing yourself with Freestyle Terrain and obeying all instructions, warnings and signs. Freestyle skill is required maintaining control on the ground and in the air. You are responsible for inspecting Freestyle Terrain before initial use and throughout the day. The features vary in size and change constantly due to snow conditions, weather, usage, grooming, and time of day. Scope around the jumps first not over them. Do not jump blindly. Use a spotter when necessary. Know your landings are clear out of the landing area. Always ride or ski in control and within your ability level. Do not attempt Freestyle Terrain unless you have sufficient ability and experience to do so safely. You control the degree of difficulty you will encounter in using Freestyle Terrain both on the ground and in the air. Start small and work your way up. Inverted aerials not permitted. Respect Freestyle Terrain and others from the lift line through the park. Only one person is permitted on a feature at a time. Wait your turn and call your start. Always clear the landing area quickly. Respect all signs and do not enter Freestyle Terrain or use features when closed. Out of safety concerns for guests, employees, and resort property, as well as concerns for individual privacy, Bristol Mountain Resort prohibits the operation or use of unmanned aerial systems, or drones, by the general public - including recreational users and hobbyists - without the prior written authorization from the Resort. This prohibition includes drones used for filming or videotaping, as well as any drone use by media or journalists operating above or within Bristol Mountain Resort boundaries. This prohibition on drone operations or use extends to any drones launched or operated from Resort property, as well as drones launched from private property outside of the Resort boundaries. Please contact 585-374-6000 if you have any questions or if you seek prior authorization to operate any aerial drones. Any authorized operation of aerial drones may be governed by Federal Aviation Administration (FAA) rules and regulations, local law enforcement, as well as those policies separately established by this Resort, which may include certification, training, insurance coverage, indemnification requirements, and waivers or releases of liability. Any violation of this policy may involve suspension of your skiing or snowboarding privileges, or the revocation of your season pass, as well as confiscation of any drone equipment and may subject violators to any damages, including, but not limited to, damages for violations of privacy and/or physical or personal injuries or property damage, as well as regulatory fines and legal fees. 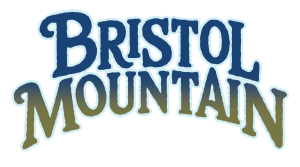 Thank you for visiting BristolMountain.com. Your privacy is important to us. We are committed to the privacy of personally identifiable information and use strict security standards to safeguard it. We restrict access of your personal information to those employees who need to know that information to provide products or services to you. We train our employees in the proper handling of personal information. We maintain physical, electronic, and procedural safeguards to protect your nonpublic personal information. We collect information that is needed to serve you and to administer our business. At this site, you can order products, season passes, enter contests, subscribe to a service or otherwise express an opinion. The types of personally identifiable information that may be collected at these pages include: name, address, date of birth, e-mail address, telephone number and credit card information. Any personal information you supply to Bristol Mountain will allow us to fulfill your request for our products, programs and services, respond to your inquiries, notify you of mountain news, special events or contests, and to offer you products, programs or services that we believe may be of interest to you. We use the information that you provide about others to enable us to send them Gift Cards or products you have purchased for them. We may use this information to inform them of our products, programs, or services. We may use the information that we collect to improve the design and content of our site or to enhance our ability to market products or services. We may also use this information collectively to analyze site usage. Before Bristol Mountain provides your information to others, they must agree to follow appropriate standards of security and confidentiality. We may disclose the information we collect to companies that perform marketing or other services on our behalf. We will not disclose personally identifiable information to companies whose practices are not covered by this Privacy Statement (e.g., other marketers, magazine publishers, retailers, participatory databases, and non-profit organizations) for the purpose of marketing products or services to you. Bristol Mountain will not use or transfer personally identifiable information provided to us without also providing you with an opportunity to opt out. If you do not wish to receive any communication from us, please notify us of your intent to unsubscribe by sending an email to fun@bristolmt.com. Our site may contain links to other sites whose information practices differ from ours. Visitors should consult the other sites' Privacy Statements as we have no control over information that is submitted to or collected by these third parties. Our site may offer content (e.g., contests, sweepstakes, or promotions) that is sponsored by or cobranded with third parties. By virtue of these relationships, the third parties may obtain personally identifiable information that visitors voluntarily submit to participate in the site activity. Bristol Mountain has no control over these third parties' use of this information. By purchasing a seasons pass or lift ticket our patrons agree to allow Bristol Mountain to use their likeness captured in photos or video for marketing, social media promotional opportunities.